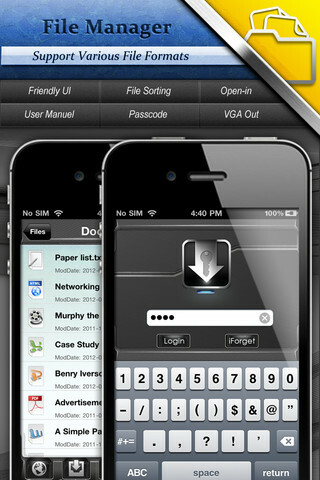 Developed by YUYAO Mobile Software, My Downloader Pro is your total file management solution for iPhone and iPad. With features that cover web browsing, download management, file sharing and PDF reading, My Downloader Pro bundles together more features than similar apps, and does it for just $0.99. The straightforward user interface makes accessing each of My Downloader Pro’s functions dead simple. A single navigation bar means that it only takes one tap to swap windows and move between your sharing options, your app settings, web pages or downloading files. 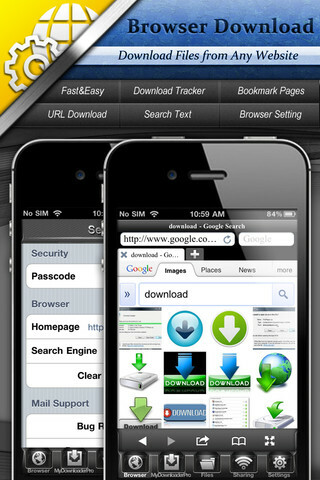 The built-in browser features tabs and allows you to download files from within the app, from any website. Once you begin a download, you can track its speed and progress in the download manager, where you can use controls to pause, resume or delete your downloads. 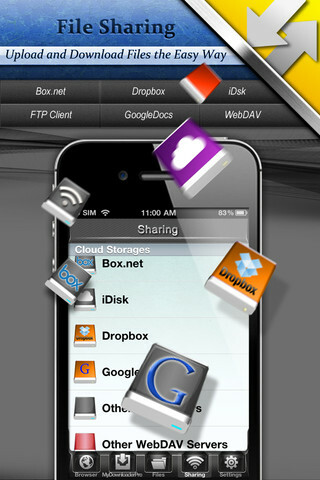 My Downloader Pro supports file sharing, and provides easy access to cloud services such as iDisk, Dropbox and GoogleDocs. Once you’ve obtained your files, you can also view them in the app using the image viewer, audio and video player, with each of the media players supporting all major file formats. 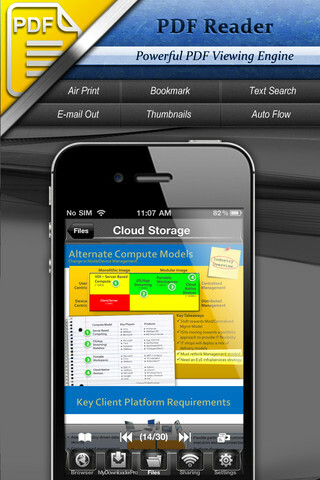 A versatile PDF reader included with My Downloader Pro, featuring text searching and air printing rounds out a complete file management package. 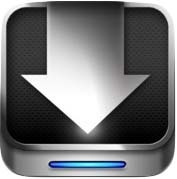 My Downloader Pro is compatible with iPhone, iPod touch, and iPad.Requires iOS 3.0 or later. A small expedite fee was paid by the developer to speed up the publication of this review.